What’s currently going on on the SQL Server, who is executing which query or fetches a few thousands of rows and slowing down the server with it? 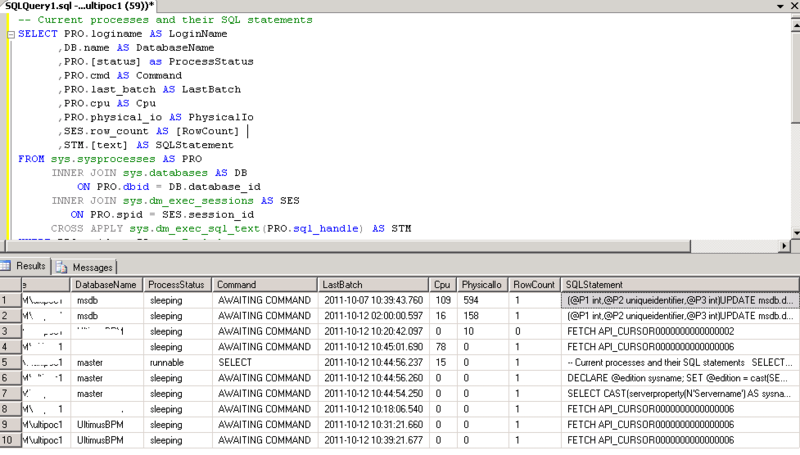 With this Transact-SQL script you can list all processes with their SQL statements. Additional you get the cummulative values of IO / CPU usage and the row count of the last statement execution.